With, what feels like, an early summer in our midst, I have been drowning in a sea of iced treat inspiration. 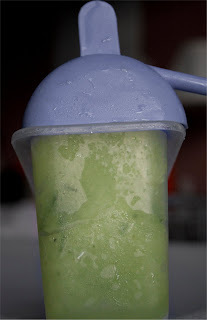 I have been wanting to try this one out for awhile because I feel like cucumber and mint are both rather refreshing, cool-you-down ingredients. I didn't want this to be an ice cream or a sorbet so I played with a few different options; the mold, the Popsicle, and the granita. All three used the same recipe, the only difference was the way it was presented. I call this an "icy" because I was aiming for the crystallized texture that I usually hate having in my other recipes. 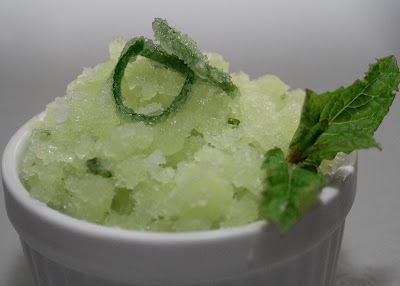 While I think this flavor combination would work well as a smooth sorbet, when I first came up with the idea I imagined it as a cold, crystallized treat that would take significantly longer to thaw in the summer heat. Peel the cucumbers (if desired, reserve a few strips of the skin for garnish). Cut peeled cucumbers in half - the long way - and scoop/discard the seeds using a spoon. Cut into chunks and blend until there are no chunks. Strain the mixture completely (there will still be some pulp on the bottom of the strainer- this is fine to use...you just want to break up the bigger chunks). Chiffonade the mint leaves and add to cucumber liquid. Mix in agave and tequila. For Popsicle: Add to Popsicle mold and freeze - Don't forget the sticks! For Mold: Pour mixture into desired mold and freeze...be sure to let it freeze long enough for the middle to be solid! For Granita: Pour into freezer-proof bowl and freeze. Agitate mixture with a fork approximately every 10 minutes until ice crystals are firm. 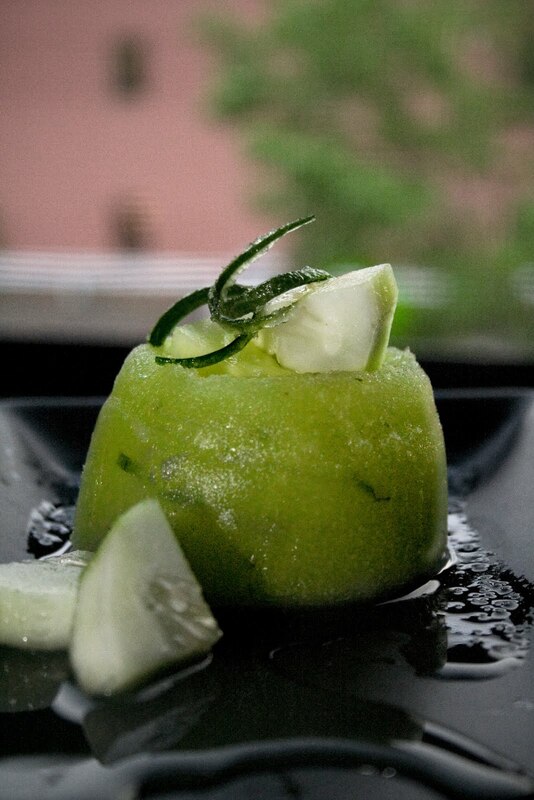 Garnish: Julienne strips of cucumber skin and stick in bowl of ice water until they begin to curl. Toss in sugar and place on top of icy! If you would prefer a sorbet to the harsh iciness of the icy just add another 1/4c. 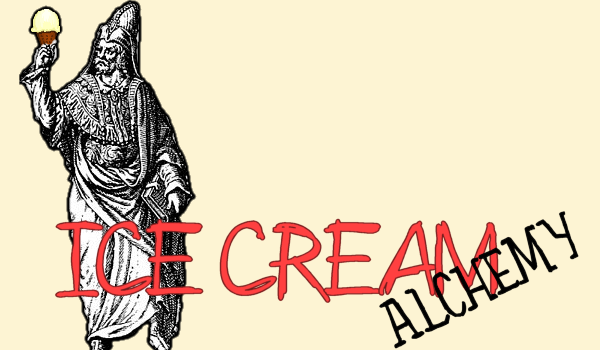 of agave, another 1/2 teaspoon of tequila, and churn in an ice cream maker.